After an intensive five days training on recycling of water hyacinth for handicraft, 50 Badagry women have received N15, 000 each totaling N750, 000 as takeoff grant. The Lagos state government on Friday disbursed N15, 000 each to 50 women selected from different locations of Badagry. The state government, at the beginning of the five days training, had promised to give the women an undisclosed amount as grant. The grant, according to government, would enable the women start up a micro business on the skills acquired. The state government through the Lagos state Waterways Authority (LASWA) had rolled out a five day training on water hyacinth. 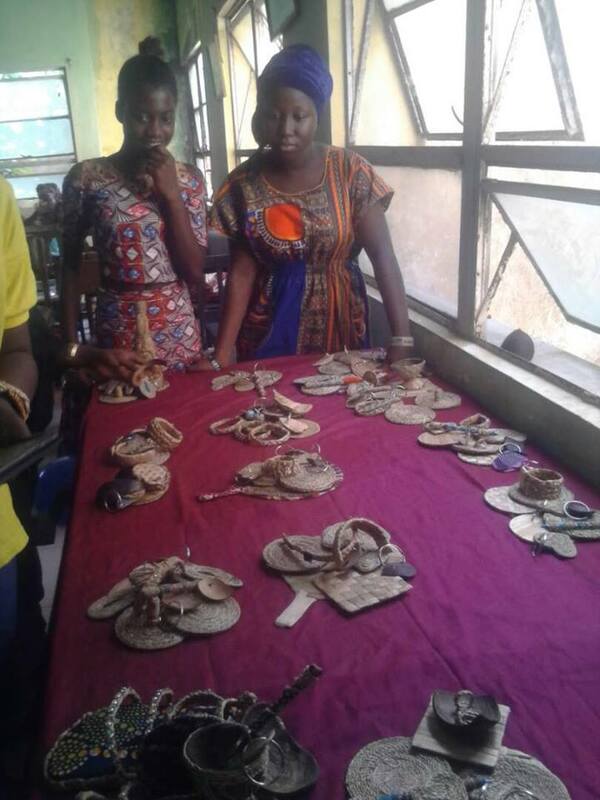 The programme was an initiative to train Badagry women on how to recycle water hyacinth into useful handicrafts. In anticipation, after the five days training, the women were handed N15, 000 as grant promised them. The women and a traditional head eulogized the state government for the gesture while considering the amount enough to start handicraft business. According to Zongbosi Mautin, one of the beneficiaries, she appreciated the government promising to continue with the knowledge acquired. “I have learnt a lot about this water hyacinth because I have never experienced it before. I thank the state government for the initiative. Water hyacinth was like a problem to us. I am really grateful that we have an opportunity to know the essence of it”. Usifo Angela, another beneficiary said she would manage it to start a business. According to her, she may rely on family and friends as a means of getting assistance to begin a thriving business on handicraft. Further, the traditional head of Mobee kingdom in Badagry, Chief Patrick Yedenu Mobee thanked the state government for bringing such initiative to his people. He said they never knew water hyacinth could be useful even as he advised his people to put the skill acquired to positive use. “I must tell you the truth; it is going to be a fantastic development if our people could really work on it. It is also going to boost the economy of Badagry, Lagos and Nigeria”, Chief Mobee said. While considering the accessibility of loan through the Employment Trust Fund, the Executive Secretary of Lagos State Employment Trust Fund, Akin Oyebode said they were ready to give them grant. “We have asked them to keep their certificates, bring them together as a group and take them through our loan application process. We already have a scheme for people like this. For this year, we are no longer funding any programme. We don’t lend in December, we will open the process next year”, he explained. Send your news, press releases/articles as well as your adverts to augustinenwadinamuo@yahoo.com. Also, follow us on Twitter @reportersinfo and on Facebook on facebook.com/primetimereporters or call the editor on 07030661526, 08053908817.